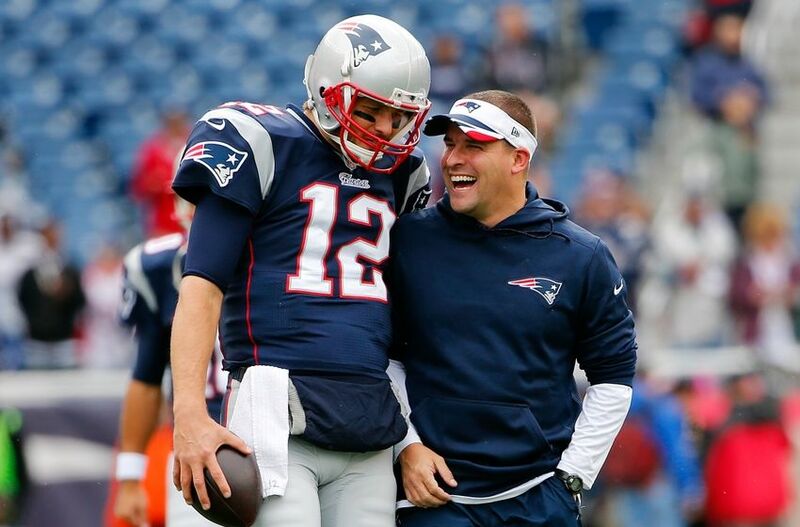 According to multiple reports, Patriots offensive coordinator Josh McDaniels has removed his name from consideration for the 49ers head coaching vacancy. Previous reports had suggested that the Niners were zeroed in on McDaniels, with their vacancy being his preferred option if he opted to leave New England. McDaniels confirmed the reports shortly after they surfaced during his conference call with the media. "They did a great job with the presentation" McDaniels said, specifically mentioning 49ers owner Jed York along with executives Paraag Marathe and Brian Hampton. "Again, humbled to be included in that process. At this time, it's just best for my family and myself to remain here in New England and focus on this year's playoffs and finish the year however it turns out." With the 49ers being the only current head coaching vacancy in the NFL, this news almost certainly ensures that McDaniels will return as the Patriots playcaller in 2017. With McDaniels out of the picture, the Niners are expected to turn their attention to Falcons offensive coordinator Kyle Shanahan, with Seahawks assistant Tom Cable also in the mix as a dark horse candidate. McDaniels went on to express his enthusiasm for his current situation. "I've always said how grateful I am for this opportunity to work here for Mr. Kraft and his family and coach under Bill, with a lot of great guys on our staff and have the privilege to work with the players we get to work with every day. It's a great opportunity, very thankful to be here, and very much looking forward to this week against Pittsburgh."